Mold assessment and testing is a combination of science and creative judgement on the part of the mold assessor. There are no firm industry standards that designate one single “right” way to assess and test a structure, which makes it imperative to select an experienced, reputable mold assessor. 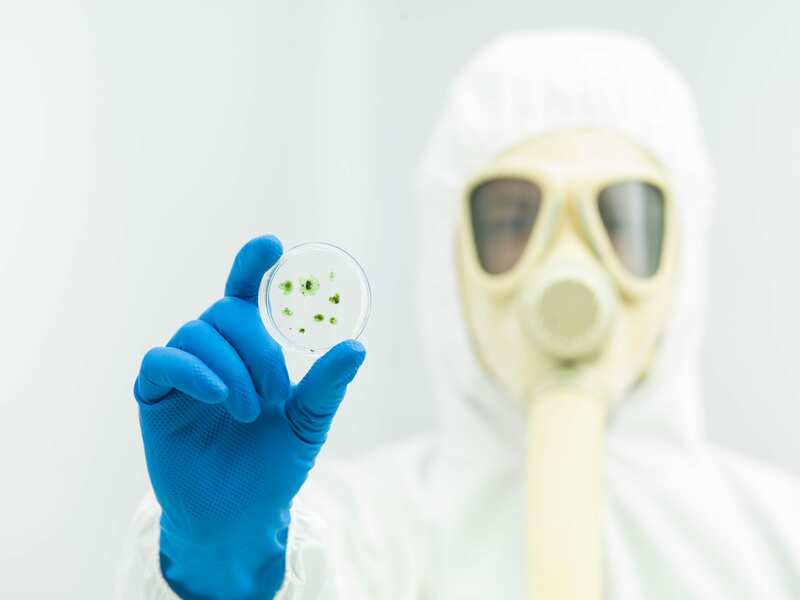 For this reason, we have prepared the following mold assessor tips and designed support material to get you up and running quickly—knowledgeable in industry terms and standards—to aid you in the process of interviewing mold assessors. Now that you know the quickest route to gaining the base knowledge necessary to make an informed decision, let’s take a look at what mold assessors actually do and how you can best prepare yourself for the interview and screening process. What is the Job of the Mold Assessor? The mold assessor is essentially the architect of the project, a common industry phrase referencing their pre- and post-project responsibilities. Due to this managerial role of the mold assessor, selecting a qualified and experienced assessor is the first step to take when faced with a mold project. Performs a visual assessment of both the structure and the property under and around the structure. This visual assessment is subjective, so experience is a critical component that enables the assessor to make the correct determination based on the visual inspection. Identifies the source of water or moisture, when possible. Keep in mind that mold assessors do not perform invasive investigations, such as removing walls or shower tiles, so they may not be able to visually see the cause of moisture to identify it. Conversely, since mold remediators do perform invasive investigations by removing structural building materials, it is legally their responsibility to locate the moisture source and make sure it is fixed before closing up and putting the investigated area back together. Designs and implements testing protocol according to industry standards. Ideally, a combination of testing methods should be used to give the broadest picture of what is going on in the structure. Interprets objective test results in the context of the site visit. Reports findings in a written mold report. When applicable, outlines a generalized mold remediation protocol that includes the specific criteria that must be met for the project to pass Post Remediation Verification (PRV). Confers with the mold remediator on the remediation protocol. Please note that it is the responsibility of the remediator to notify the mold assessor if the scope of the plan needs to be altered based on the additional information gained during the invasive investigation. Confirms completed execution of remediation protocol by mold remediator. Performs PRV testing to determine that PRV criteria have been met. Keep in mind that the initial mold assessor can perform clearance testing, or another company can be brought in to do it. Having a water leak or flooding incident in your home or work place is stressful, but stay calm. Don’t let the shock of it all panic you into making rash or ill-informed decisions. Moving too quickly can result in an outcome far worse than the initial water leak or resultant structural mold. Worse yet, by the time you realize you have made a less-than-optimal decision in your selection of a “professional” mold assessor, it is often too late to undo the damage that has already been done or recoup the money that has been spent without costly litigation, the outcome of which can be uncertain. When medical professionals advise patients to remove themselves from the affected structure. This may occur when occupants are environmentally sensitive or in a high-risk group designated by the Centers for Disease Control and Prevention (CDC). Do You Even Need a Mold Assessor? Keep in mind that one of the main jobs of the mold assessor is to identify the source of moisture and locate any resultant structural mold. However, in cases when you already know the source and location of the water damage, such as from roof leaks, broken pipes, faulty sump pumps, etc., it may be best to just call a mold remediator to remove and dry out the water-damaged building materials ASAP. Remember, mold will start to develop within 48 hours. By initially not calling a mold assessor, you may save both time and money, but do realize that mold assessors and mold remediators carry two very different types of insurance, which affects the type of coverage you would be eligible to receive should a problem arise due to an error on the part of one of these mold professionals. In brief, a mold assessor should have professional errors and omissions insurance where as a mold remediator should have general liability insurance with a pollution control clause. Should you decide to initially forego bringing in a mold assessor, it is always advisable to contact one after the remediation process has been completed. At this point, the mold assessor would perform an initial assessment and test indoor air quality to confirm no elevated levels of mold (and possibly bacteria too) are present. If no criteria for PRV were set prior to remediation, there would be no PRV criteria to meet. To be able to identify a mold assessor who knows—or doesn’t know—his trade, become knowledgeable on the mold basics, testing methods, terminology, and common mold scams. That way when you are interviewing a mold assessor and he gives an incorrect answer, you will know to move onto the next prospect on your list. Preparing yourself in this manner can help ensure an effective assessment and successful remediation, saving you untold amounts of money and potentially years of health problems. Learning mold lingo can be confusing. It can be like learning a foreign language. To help simplify the process and shorten the learning curve, download our Mold Assessor Selection Form to use as a guide when researching mold assessors. We custom designed the form in a way that would make it easier to compare companies, using four stages of information gathering and criteria screening. The form is a simple and effective support tool to help you make an informed decision. By using our Mold Assessor Selection Form, you will remember to ask all the appropriate questions and have an organized way to keep track of answers. The next step is to understand each area of the form and how it may apply to your situation. For Explanations of the Criteria Used in the Mold Assessor Selection Form, click here. A good place to start when trying to locate a certified mold assessor in your area is to run a search for assessors using your zip code on our Mold Assessor Locator Map that contains certified mold professionals. As you begin your search, be aware that there is a difference between a mold assessor and a mold inspector. The two main differences are as follows: 1) a mold assessor has undergone a higher level of training than a mold inspector, and 2) a mold assessor is the architect of the project whereas a mold inspector performs mold testing but without the in-depth assessment and project management skillset. We give special thanks to our industry reviewers: Jim Pearson, CMH, and Doug Hoffman, CEO of the National Organization of Remediators and Mold Assessors (NORMI). Their pre-press reviews of the Mold Assessor Selection Form ensured the accuracy and user friendliness of the form.